In our Philadelphia Medical Weight Loss Program most patients tell us that they aren’t really hungry because the weight loss pills, appetite suppressant medications and diet pills do a great job of controlling hunger and cravings. But you still need to eat if you want to lose weight safely. 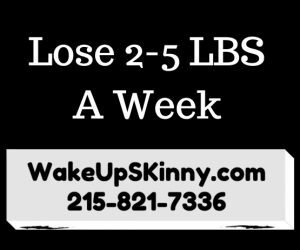 So here are 4 great recipes that have helped our Philadelphia Medical Weight Loss patients lose weight fast without being hungry. If you would like more information on our weight loss system call and schedule your free consultation with one of our Doctors or Physician Assistants. Call 215-821-7336 and schedule your free consultation now. Let’s start by a pouring your noodles into a strainer and rinse them thoroughly. Next drain them and put them in a bowl that is microwavable safe and microwave them for approximately 2 minutes. After that drain them one more time and then microwave than for 1 – 2 minutes. After that place all of the ingredients into the bowl and blend it all nicely together. Start by a mixing the heavy cream and cream cheese until it’s nice and smooth and then add the remaining of the ingredients. Take greased ramekins and pour the batter into them and place them on a cooking pan and let them bake at 350°F for approximately the 30 – 40 minutes. Just cook them for as long as it takes until you can place a toothpick into the cake and when you remove it it is clean. After that just set them aside and let them cool down. Just make sure that you refrigerate them before serving them. This recipe makes one serving and it’s so simple to make. All that you have to do is place all of the ingredients into a ball and stir until everything is mixed together nicely. This recipe makes one awesome cup of coffee. Just make your coffee like you normally would and stir in the sugar free caramel syrup and heavy cream. Just be sure to mix in everything nicely. Stir together the eggs and the heavy cream. Place a pan over medium heat and melt the butter to grease the pan. Next pour in the eggs and heavy cream mixture and cook like you normally would scrambled eggs. If you need help losing weight call us now at 215-821-7336 and schedule your free weight loss consultation now. This entry was posted in Diet Doctors in Philadelphia, Medical Weight Loss, Medical Weight Loss in Philadelphia PA, Medical Weight Loss Philadelphia, Weight Loss, weight loss philadelphia and tagged medical weight loss in philadelphia, philly diet dr, physician supervised weight loss in philadelphia, weigh tloss doctors in philadelphia, weight loss programs Philadelphia on March 27, 2017 by Dr. Michael Kenny.